Amidst 26 gorgeous acres of botanic-like gardens you'll find a smorgasbord of accommodation options including camping and caravanning, hotel-style studio cabins and the most luxurious, magnificently appointed three bedroom apartment-style condos. 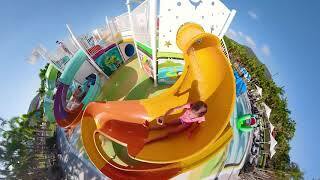 The resort is heaven on earth for kids of all ages because boredom is simply not an option. 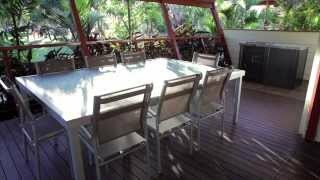 Guests love Airlie Beach's largest lagoon style pool and 13 slide waterpark, as well as the amazing menu of (mostly free) activities that truly sets BIG4 Adventure Whitsunday Resort apart and sets you up for the most amazing holiday ever. And of course, no visit to the Whitsundays is complete without a visit to the Great Barrier Reef or Islands. The tour booking office can help you with advice and bookings.